One out of every 10 Americans rent offsite storage. When we store away our belongings, we expect them to be safe and damage free until the next time they are needed. Sometimes we end up with an unpleasant surprise when we go to retrieve our stored goods though. Pests love to infest undisturbed places that provide protection from the elements; places like storage units, sheds, basements, attics and garages. Pests can cause a lot of problems. Rodents are the most common pests found in storage units. Mice and rats, in particular, find their way into storage units and quickly multiply. Experts in stealth and acrobatics, rodents are able to squeeze through the tiniest cracks and crevices, entering without attracting any attention. 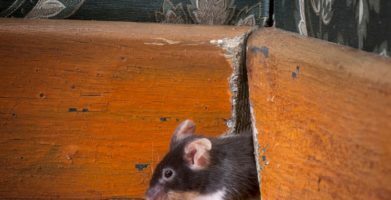 Rodent teeth are surprisingly tough, and even if there is no apparent entry point, oftentimes they can gnaw on wood and chew through drywall to make their own private entrance. Aside from these destructive habits, rodent infestations pose a number of health threats too. A single mouse can produce 40 to 100 droppings per day, damaging property and spreading disease. Rodents carry bacteria on their bodies and spread it through their droppings. In addition to spreading diseases like salmonella and Hantavirus, rodent dander and droppings can cause problems for people with asthma and allergies too. Gnaw marks on your storage containers, boxes, wood items, and the like are evidence that something has been looking for food or sharpening its tiny teeth. Nests, or piles of shredded material hidden in sheltered spots like under cabinets and dressers or behind appliances. Rodents like to be cozy and warm and will use whatever they can find to build themselves a comfortable nest to call home. Tracks can often be found on and around your items which will help you identify what type of pest you’re dealing with. Mice have the smallest feet and rats drag their tail, so look for a long dust free line between the feet marks. Since most people don’t spend a lot of time cleaning storage units, there should be plenty of dust to help you play detective. If your pets accompany you to your storage unit, there’s a good chance they’ll set off the pest alert alarm for you. Pets tend to get excited if there are critters lurking nearby. Pest prevention is your responsibility. Most people don’t frequent their storage units, giving rodents plenty of time to destruct and destroy personal items. This can put a huge burden on your checkbook when it comes to cleanup or replacement, not to mention any heirlooms that may be irreplaceable. Storage facilities are often blamed for rodent infestations occurring on their sites, but there isn’t much they can do to prevent tenants from bringing in items that ultimately attract rodents. 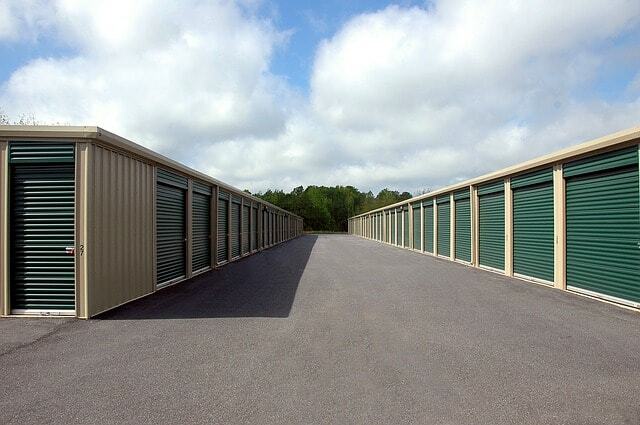 Additionally, most laws prohibit operators from entering a rented storage unit. This is why most contracts state that the facility is not responsible for damages caused by vermin and other forces of nature. Fortunately, you can rely on the power of prevention to stop pest problems before they begin. Natural pest control is safe, easy, and effective — especially when you plan ahead. 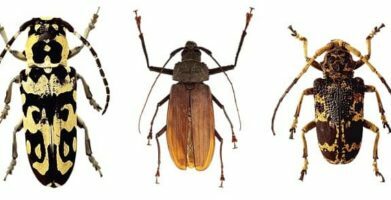 Knowing the signs of a pest infestation will give you a head’s up if trouble begins to brew in your storage unit. Taking a few extra steps when storing your personal property will ensure that you can retrieve it in the same condition as when you left it in storage. Examine a space before using it for storage, looking for any evidence of rodents or insects such as paw prints, droppings, or foul odors. 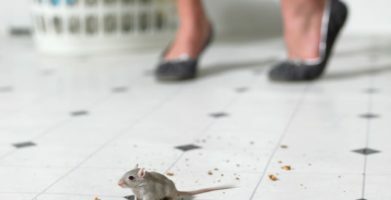 Clean items before storage to remove anything that rodents or insects may find attractive, like food crumbs, or pheromone trails from other pests. Store items in airtight, chew-proof containers if possible. Create an invisible barrier that no rat, mouse, or bug will want to cross with a scent based repellent like Stay Away®. string(5157) "One out of every 10 Americans rent offsite storage. When we store away our belongings, we expect them to be safe and damage free until the next time they are needed. Sometimes we end up with an unpleasant surprise when we go to retrieve our stored goods though. Pests love to infest undisturbed places that provide protection from the elements; places like storage units, sheds, basements, attics and garages. Gnaw marks on your storage containers, boxes, wood items, and the like are evidence that something has been looking for food or sharpening its tiny teeth. Nests, or piles of shredded material hidden in sheltered spots like under cabinets and dressers or behind appliances. Rodents like to be cozy and warm and will use whatever they can find to build themselves a comfortable nest to call home. Tracks can often be found on and around your items which will help you identify what type of pest you’re dealing with. Mice have the smallest feet and rats drag their tail, so look for a long dust free line between the feet marks. Since most people don’t spend a lot of time cleaning storage units, there should be plenty of dust to help you play detective. If your pets accompany you to your storage unit, there’s a good chance they’ll set off the pest alert alarm for you. Pets tend to get excited if there are critters lurking nearby. Fortunately, you can rely on the power of prevention to stop pest problems before they begin. Natural pest control is safe, easy, and effective -- especially when you plan ahead. Knowing the signs of a pest infestation will give you a head’s up if trouble begins to brew in your storage unit. Taking a few extra steps when storing your personal property will ensure that you can retrieve it in the same condition as when you left it in storage. string(46) "DIY to Stop Mice Infestations in Storage Units"